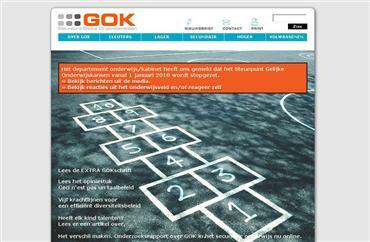 The centre for Equal Educational Opportunities (or in Dutch: steunpunt Gelijke Onderwijs Kansen - GOK) offered support to Flemish GOK-schools and to the GOK-policy in general. End 2009 the project came to an unexpected an early halt due to the economic crisis' influence on the governmental subsidies. Sharing the centre's vision of equal opportunities NewLink provided the hosting and the necessary web-applications.